Author: G Nesta Griffiths, signed and dedicated by the author on the title-page. Condition:Crisp Green Cloth-bound Hc, gilt impressed tree to fr. cover, gilt title to spine, maps w light foxing to endpapers, tipped-in frontispiece opposite title page, inscr. "For a Very Kind Friend, G. Nesta Griffiths" Unclipped DJ has mild edgewear. VERY GOOD. Description: 151 pages. 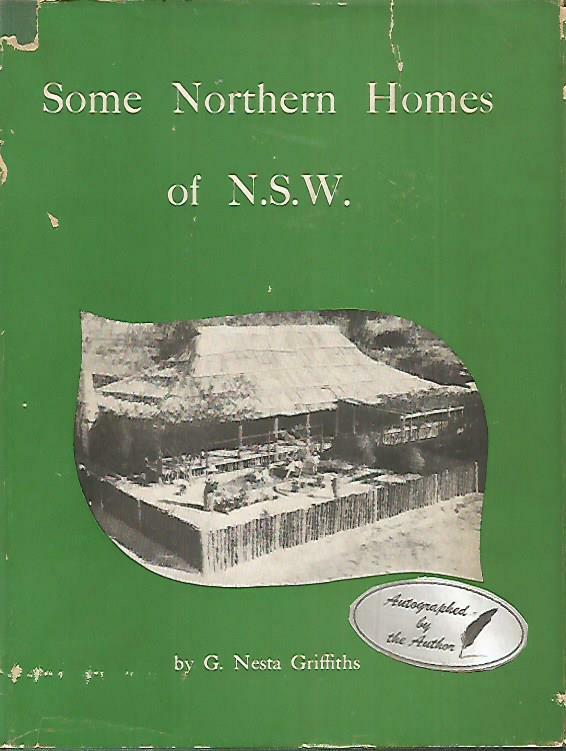 The author's fourth book on the history of people and places in New South Wales giving the story of some of the early settlers of the Hunter River and New England districts, eg TOMAGO, NEOTSFIELD, YUGILBAR. A RARE title in Very Good Condition. 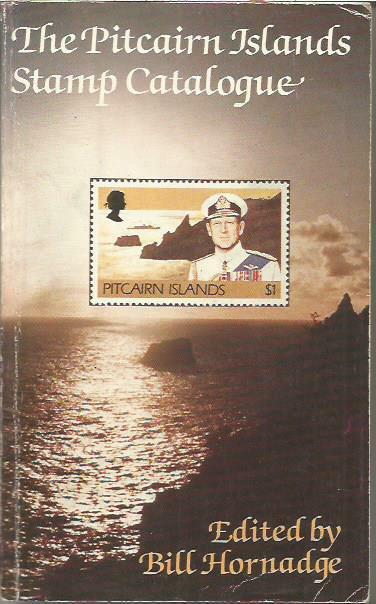 Author: Bill Hornadge, author of over 20 books including " Stamps- A Collector's Guide", "The Ugly Australian" and others. Publisher: by the author, Dubbo, NSW 1980. Condition:Crisp softcover with slight coverwear in GOOD CONDITION. 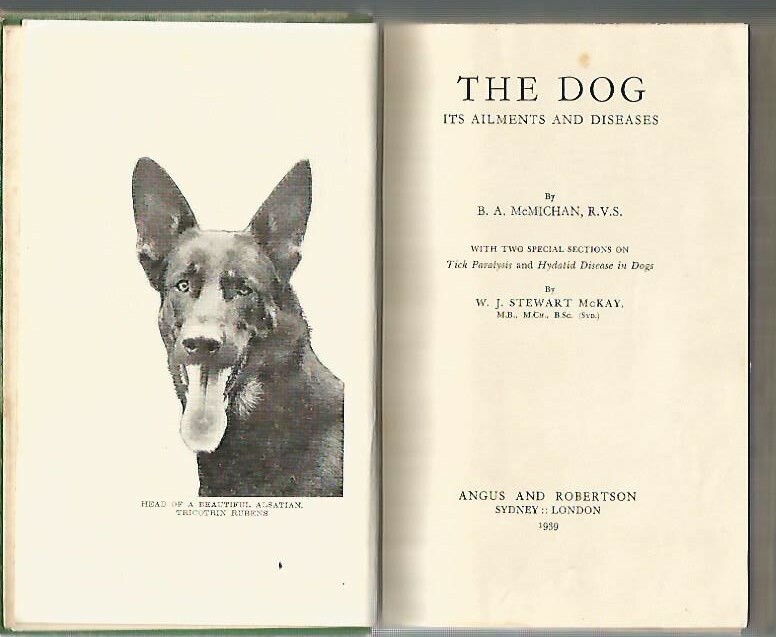 Publisher: Angus & Robertson, Sydney 1939, 2nd Revised Edition of the 1933 original, 11 chapters, varieties of breed with photos, glossary, Index, 251pp + advts. Condition:Worn green cloth-bound hardcover with title to spine and front cover, foxing to prelims and pp.edges, STRAIGHT and TIGHT in GOOD CONDITION. Description: General care & feeding, anatomy, vitamins, diseases, medicine, poisons, x-rays, glossary, Index. Title: A Geographical Dictionary or Gazetteer of the Australian Colonies by W H Wells 1848 Facsimile Edition 1970 NSW Library. Author: William Henry Wells. This is a facsimile edition, produced in 1970, of the original published in 1848. Publisher: The Council of the Library of NSW, Sydney, SBN 724099832, frontisp., 438pp + advertiser's copy to rear 16 pp., maps, alphabetical gazetteer, fold-out national map. Condition:Crisp burgundy 8vo hardcover with bright gilt title to spine, STRAIGHT, CLEAN & TIGHT in Very Good Condition, with a neat name in pen dated 1978 to the front paste-down.The dustjacket has some mild edgewear, is unclipped, in Good Condition. Description: includes Ephemera: a copy of P356 of The History of Tasmania; a news cutting regarding Lakemba, near Sydney and another regarding an 1830's view of Penrith NSW. 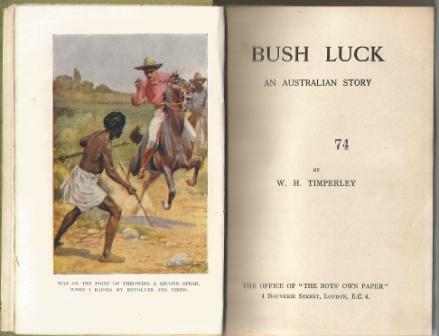 Author: W H Timperley, who emigrated to Perth in 1856, joined the Police and eventually became Superintendent, Aboriginal Prison, Rottnest Island. Condition:Printed cloth boards (hardcover) with title to spine & frontcov., fenpr missing (prob. ex-bookplate presentation) "74" stamp to prelims & notation that this is that number of COL WILSON'S personal Library. Slight edge foxing, in GOOD CONDITION. Description: What the life of a squatter means, at least the best sides of a squatter's life. Things go fairly easily with the hero, but, on the whole, there are some wholesome bits of advice for those who think squatting all " beer and skittles". 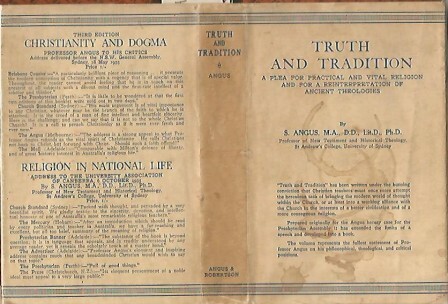 Author: Professor S Angus MA. DD. LitD. PhD. Condition:Crisp blue cloth-bound hardcover with gilt title to spine, Straight, clean & Tight with no inscriptions in VERY GOOD CONDITION, in an intact, unclipped GOOD dustjacket with glass-stains to the cover, protected in a plastic dustwrapper. Description: Prepared for the Angus heresy case, this is the fullest statement of the Professor's positions. 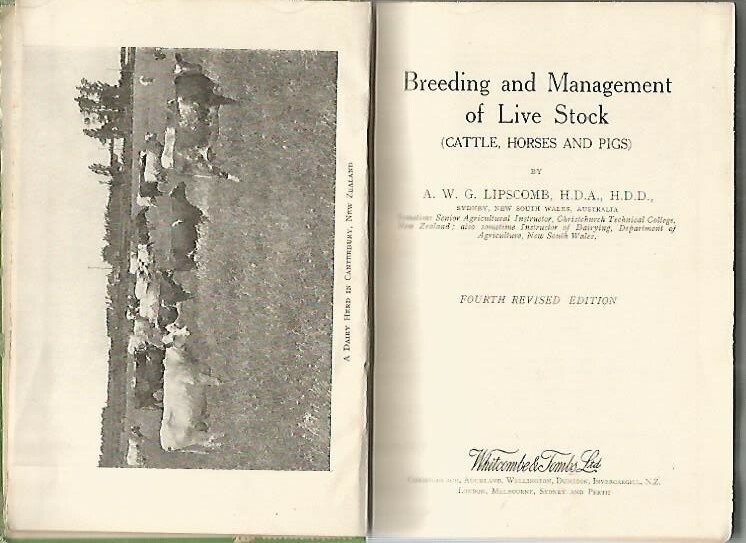 Author: A W G Lipscombe HDA., HDD. Publisher: Whitcombe & Tombs, Christchurch NZ, c1945 (i.e. 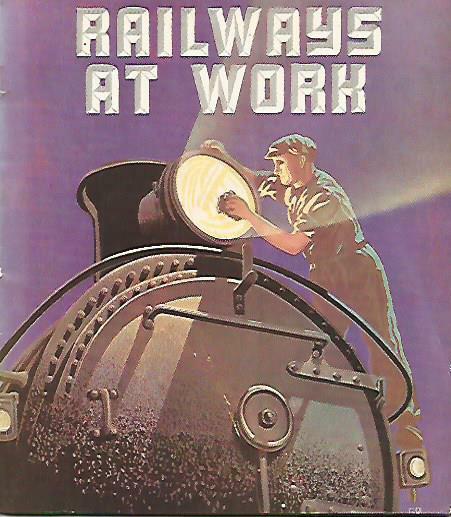 just post WW2) Last refs are to 1939 ststistics, many b/w photos, illustrations, 25 chapters, 4 sections, 409pp. Condition:A softcover bound with 2 staples, the cover shows some slight separation, in GOOD CONDITION note : !!!!!! CONTACT US FOR CHEAPER POSTAGE: THIS BOOK IS SUITABLE FOR LETTER RATE !!!!!! !